As Labor Day 2014 hits the history books, and fall has officially started, it’s only obvious to ask: how did Indy spend it’s summer? Some may have gone camping, some far away on an extravagant vacay, and many may have taken a day trip to one of the amusement parks scattered about the region. Unfortunately, the word “trip” truly rings accurate, as the closest oasis for thrill-seeking Indy residents stands hours away from Monument Circle. Believe it or not, there was a time when a closer options were available. 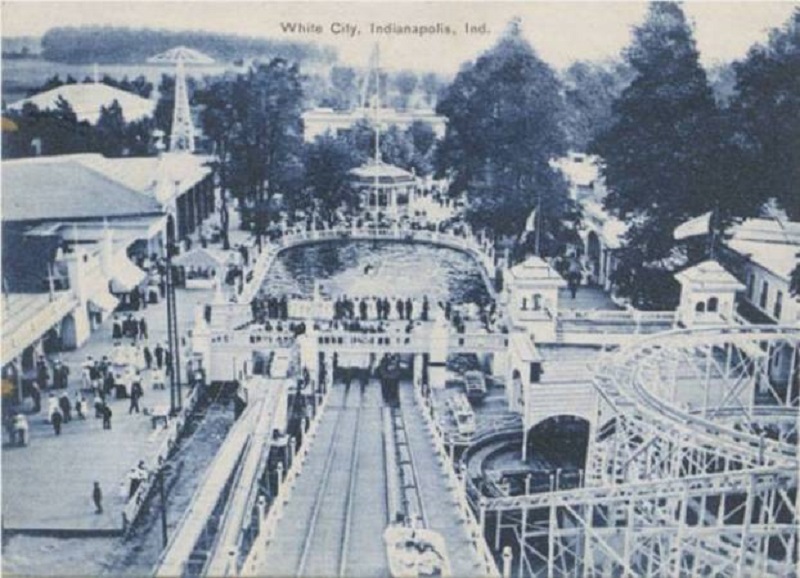 Indianapolis once boasted three amusement parks including White City Amusement Park in Broad Ripple. During the early days of the twentieth century, the private operators of street car lines often established amusement parks at the end of their lines as a way to keep riders traversing the entire route. 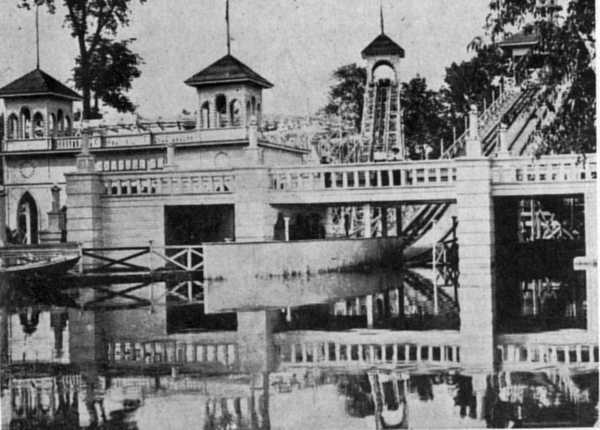 The owners of the Broad Ripple Transit Company opened White City in 1906 at the present day location of Broad Ripple Park. The park drew inspiration from Chicago’s 1893 Columbian Exposition. Guests marveled at the mechanical rides, including a roller coaster, a flume ride that sent boaters down a shoot into a lagoon and a working reenactment of Mt. Vesuvious. One account describes a strange display of baby incubators — no word on if they were occupied. A rather fitting end came for a park that featured an exhibit called “Fighting the Flames.” A fire broke out in June 1908, destroying everything but the swimming pool. 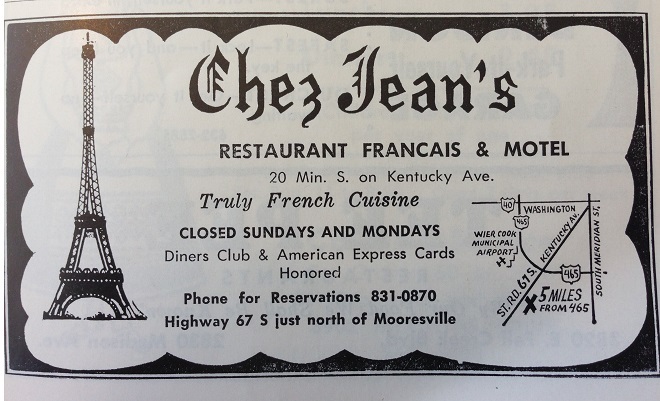 It was said to have started in a simulated opium den attraction. When’s the last time you saw one of those? The park reopened three years later, but not nearly to the scale of the original incarnation. The main attraction, a swimming pool touted as the “world’s largest.” A dance hall and playground accompanied the pool. 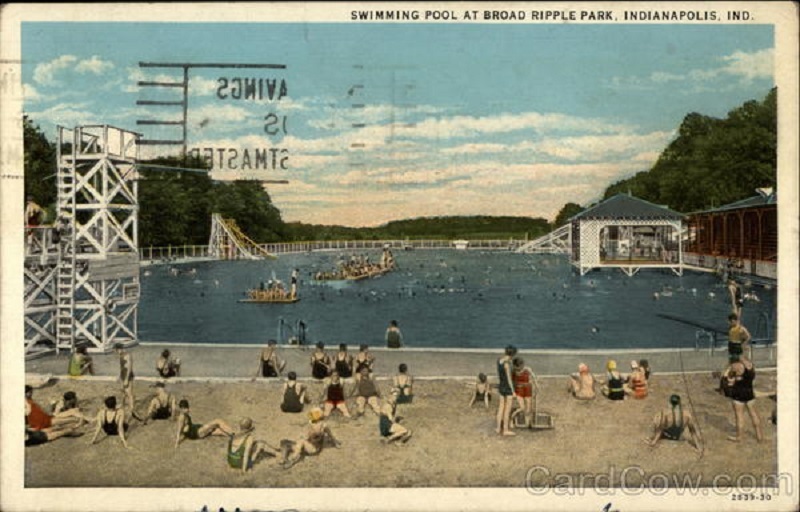 However by that time, Riverside Amusement Park on the west side was the established entertainment destination of choice (a detailed account of this park can be found here). 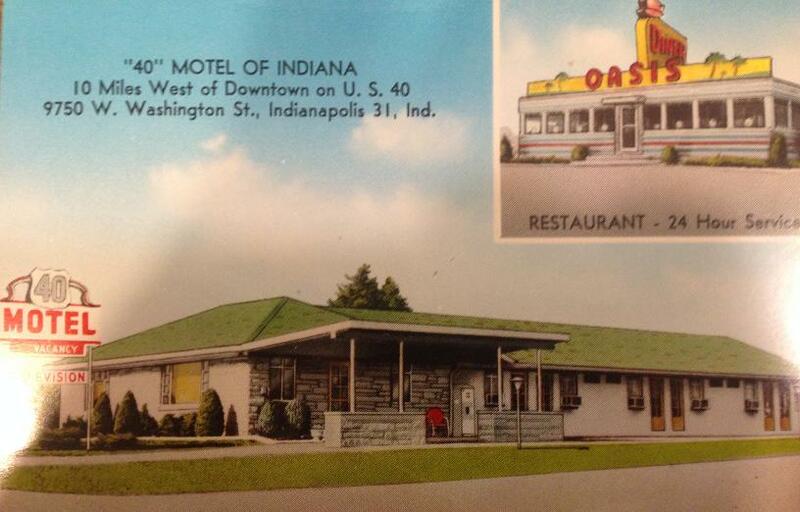 The park limped along under various owners until 1945, when the city of Indianapolis bought the property. Most of the rides were demolished and the property became a city park. 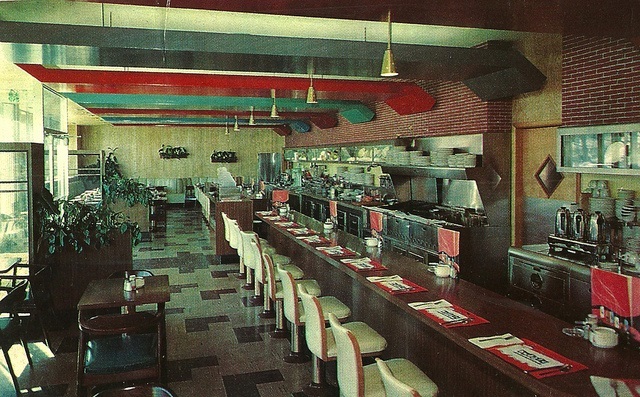 The massive pool was filled in the 1970s and today, virtually no trace remains of the former entertainment destination. One reminder remains in Indianapolis. A fully restored version of the park’s carousel has been a favorite of children young and old at The Children’s Museum since 1976. At Your Leisure: Congratulations, Seniors!